It’s spring now, and the lines are gathering at Lowe’s for the outdoor projects–the hammers, the nails, the pavers and edgers, the crabgrass preventer, the mulch. And lately if there’s anything this means, it’s that community gardens by the hundreds will be poking up like new year’s resolutions around your town, little buds and bulbs being planted by the Channings, the Arnolds, and the neighbors whose names you’ve never gotten but whose beagle seems to be on some kind of new death-howling-at-4-AM routine right outside your bedroom window. It’s a gorgeous Saturday spring morning, neighbors caring for neighbors, caring for the common good. Everybody on the block, working together, the bee to the pollen. Ah. Community. It’s too easy to shake a jaded stick at, and something that seems hard to really root against–the small gardens popping up in defunct cities like Detroit are like little prayers for reconciliation, rejuvenation, reform–and who doesn’t want/hope for/pray for change in their community, be it their city, their neighborhood, their family? It’s not that hoping through these little projects is a bad thing at all. In fact, it’s a very good thing. It’s just the classic problem that seems to get in the way of each and every endeavor for progress and reform–me, and you, and us. We plan and strategize to make a change that will bring us together, and yet you and I are terminally bound to think about our own lives, our own priorities, and leave the us out of it. It’s not that we don’t want, even long for, us. But it’s that quintessential distinction between what we long for and what we cannot seem to bring to bear out consistently in our lives. NPR graciously captures this difficulty on a national scale in their piece “At the Community Garden, It’s Community That’s the Hard Part.” In it you find different people responding in different ways to the real demand of garden maintenance–some seeking the fruit of the labor sans labor, others responsibly laboring and resenting those who have not put forth their share. Others who sign up, and never show. Any of this sounding familiar? You may think that the great historic debate between communism and private property is over. Well, it’s not. Not at your local community garden. 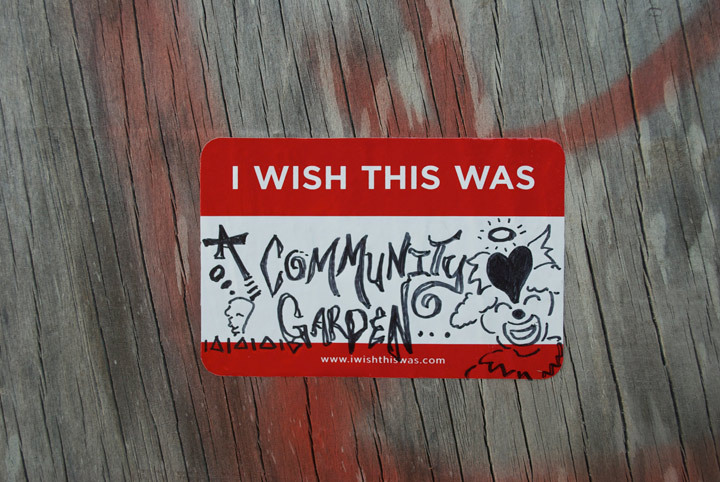 Take, for example, the experience of Campos Community Garden in Manhattan’s East Village. Eight years ago, the garden was decrepit and abandoned. Beverly McClain walked by it all the time, on the way to her daughter’s school. And one day, she and a motley group of fellow gardeners decided to revive it. “It was neighborhood people; it was parents from the school; people from the project across the street who had seen it be a hellhole for way too long,” she says. After they carted in lots of fresh, clean soil, they decided that they were not going to stake out little individual garden plots. They’d work on the whole thing together. “I liked that people could just show up and join the garden, as opposed to being on a wait list,” says McClain. But there were debates about this over the years. McClain wanted to keep it a community enterprise — as Karl Marx once put it, “From each, according to his ability, to each, according to his need.” But others thought there too many days when it seemed that because everybody owned the garden, nobody really did. And there were days when it seemed that too many people assumed that somebody else would do the work. So last year, the Campos Community Garden laid out some boundaries of personal responsibility: Individual plots where people get to plant and pick their very own vegetables. McClain says she has to admit that it’s helped. Of course, if you’re an economist like Russell Roberts at George Mason University, you can say that this was completely predictable. 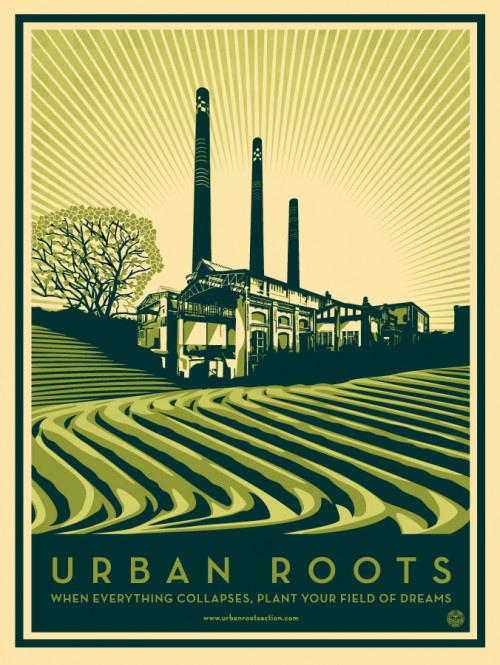 “Collective farming does not have a great historical record,” Roberts points out. “Collective farming is probably the main reason why the Soviet Union had about 70 years of bad harvests.” And even if you just talk to veteran community gardeners, many of them will warn you away from communal arrangements. “Our experience is, it’s an unequal participation, and an unequal sharing,” says Judy Elliott, who’s the Education and Community Empowerment Coordinator for Denver Urban Gardens. And Ryan Mitchell, with Friendship Gardens in Charlotte, N.C., says he has often seen how “when people realize that they have to do a lot of hard labor in the middle of the summer when it’s hot and humid, about half the group just drops off.” The rest then feel overworked, resentful, and discouraged. Some of them may then leave, too. 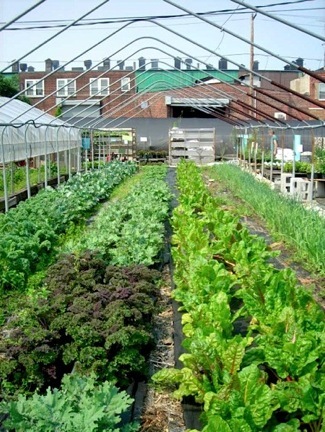 So in Denver, Charlotte and across the country, in fact, most community gardens are divided up into individual plots. It means less drama and less discouragement. If some of your neighbors start shirking their responsibilities, it’s not really your problem. And still, the debate continues. Because there are still a lot of people doing communal-style gardens. And they say it may be true that the most troublesome part of a community garden is the community. Yet if you can pull it off, the community that forms around a garden is, in fact, far more valuable than the vegetables.